When you’re ready to do something else with your chocolate chips, try one of these fun desserts. With whole-wheat flour, not too much sugar and plenty of nuts, these cookie bars are delicious and wholesome. These cookie bars get a delicious crunch from the addition of chocolate chips and pretzels. Coconut macaroons get studded with chocolate chips and pecans for a delicious, chewy treat. These airy and crisp meringues are also gluten-free. This genius bar sandwiches a fudgy chocolate filling between chocolate chip cookie dough; it’s a favorite in the F&W test kitchen. 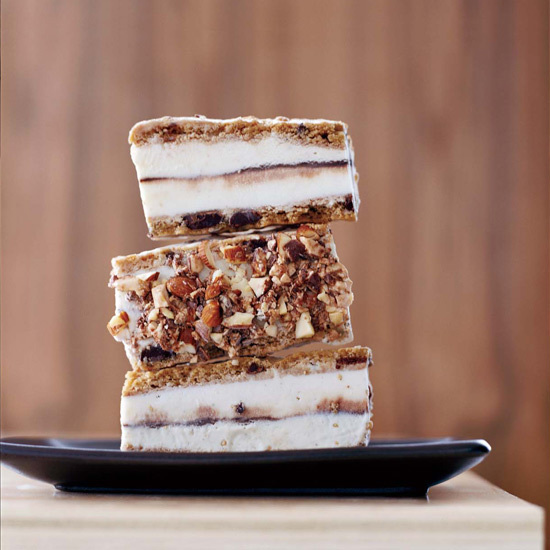 These spectacular ice cream sandwiches make use of pre-made cookie dough, which you roll out into a huge rectangle to bake.